Mini UFO (Unidentified Flying Object) idea, matching of the different curves into bamboo lighting. Strong Japan style commonly use in most of the Japan countryside hot-spring Inn. 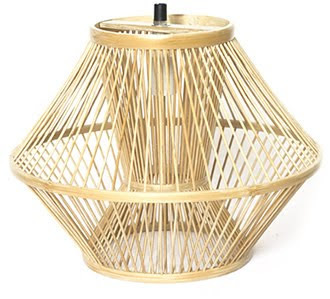 It’s from the hand-made of integrating the bamboo wire to be a bamboo lighting which can hang on the ceiling, garden or balcony, put in the desk or perform as the home decoration.